Billed as the largest free arts festival in the U.S., Artscape brings together more than 150 artists, craftspeople, visual art exhibits, concerts, and arts performances and attracts more than 350,000 people for a three-day event in Baltimore, Maryland. 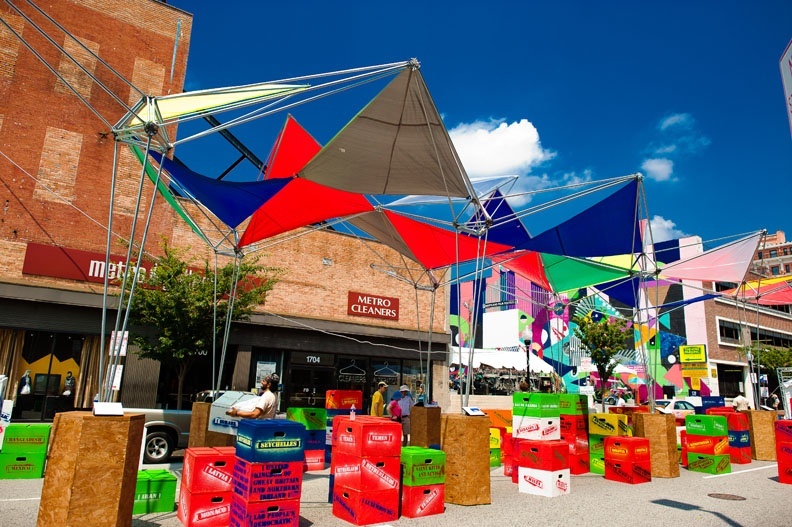 Each year, students and faculty at Morgan State University's School of Architecture + Planning design and construct an installation for the festival. This year's Artscape theme was "No Passport Required," and to meld with that theme, the Morgan State team created Destination 1,"a music pavilion and DJ dome inspired by the visionary ideas of Buckminster Fuller."